Samsung is set to face multiple South Korean lawsuits over the Galaxy Note 7, amid reports that it's still looking to track down the cause of battery fires, and offering Koreans discounted upgrades to next year's flagship phones —including the Note 8. An initial class action suit on behalf of 527 Note 7 buyers is demanding 500,000 won (roughly $440) per person for the inconvenience of the recall and the phone's eventual demise, Bloomberg said on Monday. The lawfirm running the suit, Harvest Law, said it's "planning to file a lawsuit every month." 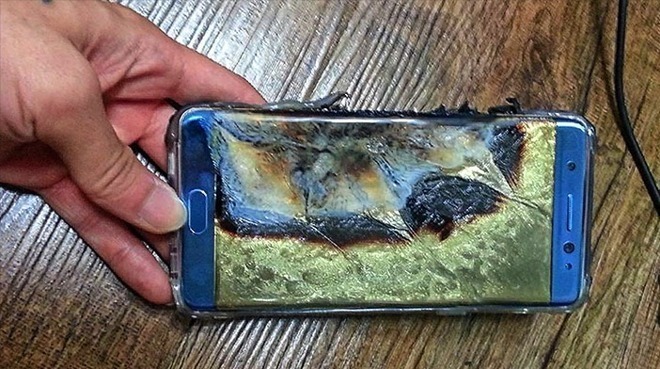 The issue, Harvest claimed, is that Note 7 owners not only had to return to stores multiple times, but were expected to download software limiting their battery to 60 percent capacity, and reconfigure apps and logins after getting a recall device they ultimately had to abandon anyway. The firm said it's received three complaints from people whose phones caught on fire, which will be bundled into a separate lawsuit. Bolstering its efforts to restore good will, Samsung on Monday revealed a Korean program whereby people exchanging a Note 7 for a Galaxy S7 or S7 Edge will be able to trade that in for a sharp discount on the Galaxy S8 or Note 8, neither of which have been officially revealed. Specifically, people will only have to pay half the cost of the S7 to get the 2017 hardware, Reuters reported. The program could come to other countries, Samsung said, without elaborating on details. In many regions the company has been offering refunds or exchanges, in some cases with extra credit. The Wall Street Journal said on Sunday that Samsung is still trying to figure out the cause of the Note 7 fires, acknowledging that it misdiagnosed the problem as purely battery-related when it issued a recall. The company is even reportedly delaying the development of the Galaxy S8 by two weeks as engineers work on the Note 7 autopsy. Samsung allegedly dismissed some of the initial Note 7 fire anecdotes, but decided it needed to act fast after it became clear the trouble was serious, rather than conduct a thorough investgation. This led to the recall and a new battery supplier, which didn't end up solving anything. The recall is said to have caught the U.S. Consumer Product Safety Commission offguard, since it wasn't informed prior and normally investigates malfunctions. Even once the CPSC was alerted, Samsung chose a fast-track route, which bypassed the Commission's usual preliminary determination process. This might have saved Samsung from some liability issues, but meant it sailed into the recall blind.